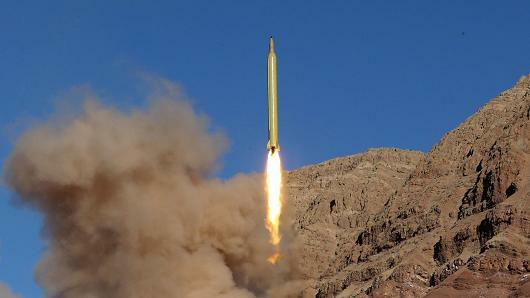 (by Gregory Korte , USA Today) WASHINGTON — National Security Advisor Michael Flynn announced at the White House Wednesday, February 1, that the U.S. is “putting Iran on notice” after it tested a ballistic missile. President Trump’s national security adviser delivered strong words for Iran from the White House podium Wednesday, condemning the regime’s test of a ballistic missile that intelligence officials say is capable of carrying a nuclear warhead. 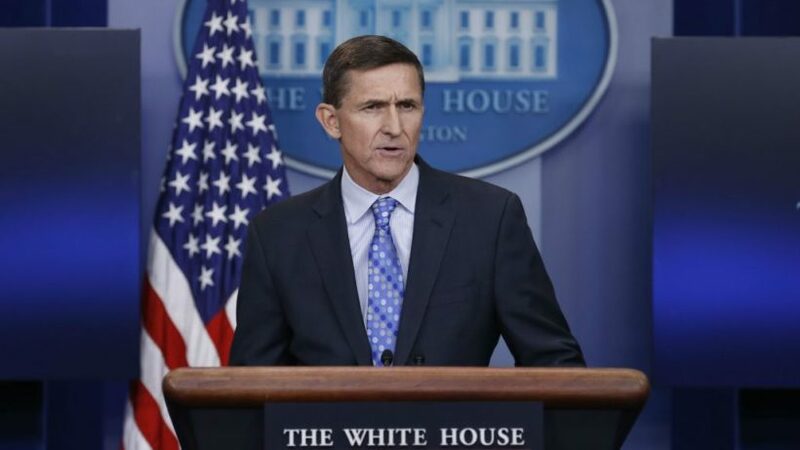 “As of today, we are officially putting Iran on notice,” Michael Flynn said in a statement sharply critical of the Obama administration’s policy toward Iran and promising a tougher stance by the Trump administration. Flynn was responding to an Iranian missile launch Sunday, a key first test of Trump’s reaction to foreign provocation. He also condemned a separate attack by Iranian-backed Houthi militants against a Saudi naval vessel Tuesday. The Obama administration enforced economic sanctions against Iran for its support of terrorism, but [separated] that issue from Iran’s nuclear program in obtaining a seven-nation agreement for Iran to give up its nuclear program for 10 years. “Instead of being thankful to the United States for these agreements, Iran is now feeling emboldened,” he said. 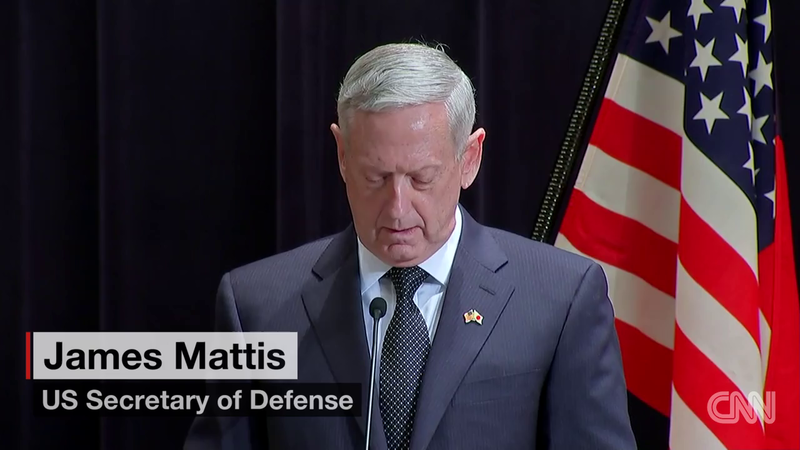 (by Brad Lendon, CNN) – US Defense Secretary James Mattis on Saturday, Feb. 4 reaffirmed Washington’s commitment to defending Japan, including a group of disputed islands which have been claimed by China. “I made clear that our long-standing policy on the Senkaku Islands stands — the US will continue to recognize Japanese administration of the islands and as such Article 5 of the US-Japan Security Treaty applies,” Mattis said in a press conference with Japanese Defense Minister Tomomi Inada. Article 5 of that treaty says the US will defend territories under Japanese administration, which would include the Senkakus, an uninhabited group of islands in the East China Sea called the Diaoyus by China. Tensions have flashed numerous times in recent years over the islands, including face-offs between Japanese and Chinese air and naval forces that have been termed dangerous by both sides. China responded quickly to the US stance on the disputed islands, saying it brings instability to the region. “Diaoyu and its affiliated islands have been Chinese territory since ancient times. These are historical facts that cannot be changed. The so-called US-Japan security treaty was a product of the Cold War, and it should not harm China’s territorial sovereignty and legitimate rights,” Chinese Foreign Ministry spokesman Lu Kang said in a statement. “We urge the US side to adopt a responsible attitude and stop making wrong remarks on the issue of the sovereignty of Diaoyu Islands,” Lu said. 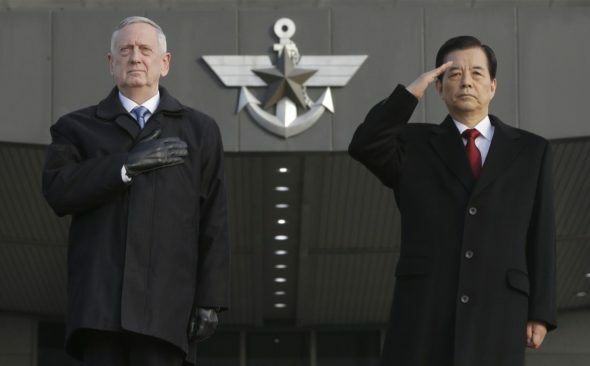 Mattis’ visit to Japan and South Korea follows a campaign in which President Donald Trump unsettled the region by suggesting that Seoul and Tokyo develop their own nuclear weapons and pay more towards keeping US troops stationed in the two countries. But in his inaugural trip as secretary of defense, Mattis has repeatedly reassured the staunch US allies of the Trump administration’s commitment to the region. “I want there to be no misunderstanding during the transition in Washington that we stand firmly, 100% shoulder to shoulder with you and the Japanese people,” Mattis said. The US commitment to the disputed islands, which Mattis also reaffirmed in a Friday night meeting with Japanese Prime Minister Shinzo Abe, is not new. In 2014, the Obama administration also said the remote chain fell under the treaty. In late 2013, China declared an air defense identification zone (ADIZ) over much of the East China Sea, including the Senkakus, despite objections from Tokyo and Washington. Japan also has an ADIZ over the islands. While the Senkakus are uninhabited, their ownership would allow for exclusive oil, mineral and fishing rights in the surrounding waters. (from Reuters) – U.S. Defense Secretary James Mattis warned North Korea on Friday, Feb. 3 of an “effective and overwhelming” response if Pyongyang chose to use nuclear weapons, as he reassured Seoul of steadfast U.S. support at the end of a two-day visit. North Korea’s actions have prompted the United States and South Korea to respond by bolstering defenses, including the expected deployment of a U.S. missile defense system, known as Terminal High Altitude Area Defense (THAAD), in South Korea later this year. The two sides reconfirmed that commitment on Friday. South Korean Defense Minister Han Min-koo said Mattis’ visit to Seoul – his first trip abroad as defense secretary – sent a clear message of strong U.S. support. Mattis was scheduled to depart later on Friday for Japan. b) What did General Flynn say about the Obama administration’s response to Iran’s constant provocations? How does the Trump administration differ? 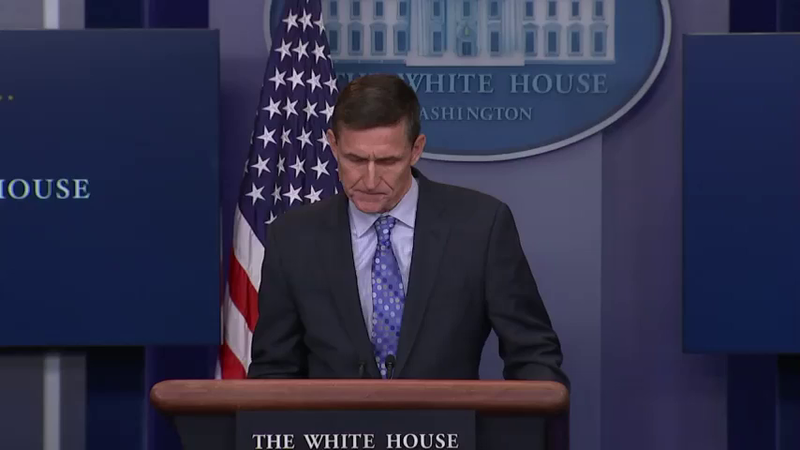 c) What did Gen. Flynn say about President Obama’s nuclear agreement with Iran? d) The CNN reporter writes, [Flynn said] “we are officially putting Iran on notice.” He did not elaborate on what that notice was, or what options the Trump administration would take. Do you think the administration should have been specific and detailed exactly how/where/when the U.S. would act? Explain your answer. b) What reassurance did Defense Secretary Mattis give Seoul (the South Korean government)? Secretary Mattis used his visit to reassure South Korea that the Trump administration “remains steadfast” in its “iron-clad” defense commitments to the region, said the Pentagon. a) Do you think this policy of approaching hostile nation states from a position of strength as opposed to President Obama’s policy of “leading from behind” will cause North Korea, Iran and China to think twice before they act, or will it cause these countries to increase their aggressive behavior? Please explain your answer. b) President Obama famously warned the Syrian government there would be consequences if Assad “crossed a red line” and used chemical weapons on his own people – that the U.S. would take military action. Assad used chemical weapons on civilians and the Obama administration did not carry out the threat/warning. Do you think these governments believe the Trump administration will act on their warnings? Please explain your answer. In Saturday’s press conference, Defense Secretary Mattis praised Japan’s financial contribution to the cost of keeping some 52,000 US troops in Japan. During the US presidential campaign, Trump had said Japan might have to increase its contribution to the force. 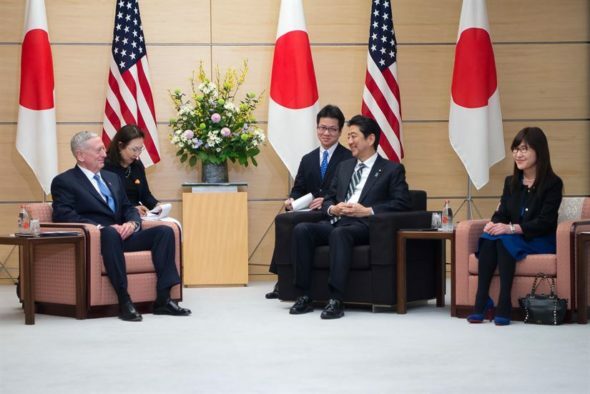 The US defense chief also praised Japan’s military buildup under Prime Minister Shinzo Abe, which has seen increased spending on Japanese forces to the point that some analysts consider them among the world’s best. “I think Japan is on the right track,” Mattis said. Mattis said the US would continue taking steps to lessen the US military footprint on the southern Japanese island of Okinawa. Both sides agreed the US Marine Corps Air Station Futenma on Okinawa would be relocated to Henoko, a less densely populated section of the island. Mattis was also critical of China’s actions in the South China Sea, where since 2014 Beijing has turned sandbars into islands, equipping them with airfields, ports and weapons systems and warned US warships and aircraft to stay away from them. “China has shredded the trust of nations in the region,” Mattis said. “We all play by the rules, and if we have disputes we take them to arbitration, we don’t settle them by taking military means and occupying land that is subject to question, to say the least, about who actually owns it,” he said. “What we have to do is exhaust all efforts, diplomatic efforts, to try and resolve this properly,” Mattis said. The US has a considerable military presence in South Korea and Japan, as part of a post-war defense deal. There are just under 28,500 US troops in South Korea, for which Seoul pays about $900 million annually. President Trump has previously said he wants both South Korea and Japan to pay more towards maintaining that presence. Secretary Mattis used his visit to reassure South Korea that the Trump administration “remains steadfast” in its “iron-clad” defence commitments to the region, said the Pentagon. “North Korea continues to launch missiles, develop its nuclear weapons program and engage in threatening rhetoric and behavior,” Mattis said at a press conference in Seoul on Friday. While in Seoul, the Secretary pledged to deploy THAAD — the Terminal High Altitude Area Defense anti-missile system — to protect US and South Korean troops. 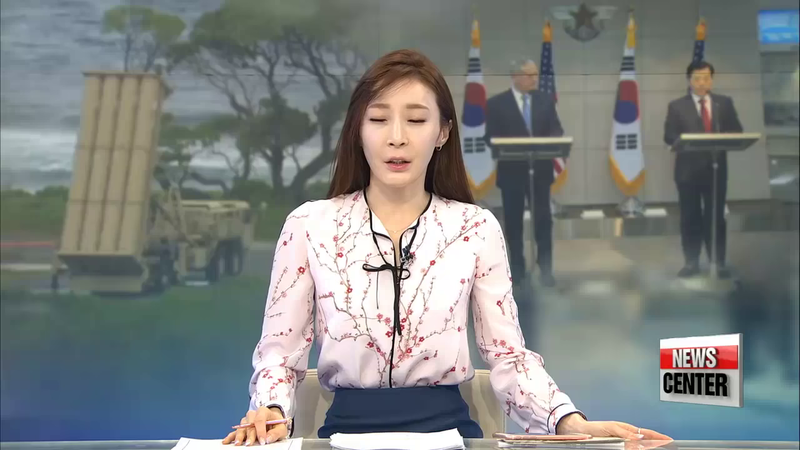 The statement said THAAD was part of an offensive strategy between Seoul and Washington.